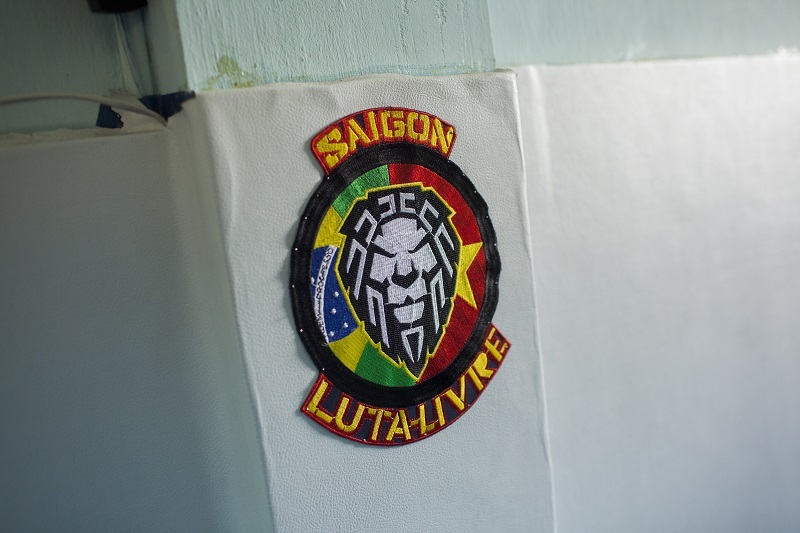 SAIGON LUTA LIVRE sits in the last place anyone would expect to find a foreignowned martial art studio, in a four-by-12 apartment on the third floor of a decades-old Vietnamese building. The path that leads to it is a tiny alleyway branching off Tran Quang Dieu Street, literally minutes away from the infamous Nhieu Loc canal. Along the dusty hallway, Vietnamese tenants hang their clothes to dry on the balconies and air their old shoes outside the doors of their non-airconditioned abode. It doesn’t get any more expat-unfriendly than this. The room is B315 and as strange as this may sound, this unassuming little place is the “heaven before heaven” for a globe-trotting two time international champion of No-Gi Brazilian Jiu-Jitsu (BJJ). As Erik Koehne, the owner of Saigon Luta Livre, puts it, he’s “been around the world.” He’s seen London, Tokyo, Berlin, Chicago, New York, Paris, Munich, and more. His career as a professional BJJ master started in 2008 when the stock market crashed and the subsequent depression robbed him and millions of others of a job. Instead of diving right back into the fray, Erik decided to go and see the world. “I’m from the US, from California, the Silicon Valley. Silicon Valley is a rat race. I was working 12 hours a day. I was making a lot of money but my brain was never at rest. People are under a certain amount of pressure to be successful under the Western guideline. It’s not about being happy but about making money. It’s about being successful, and to me, achieving happiness is success,” says Erik. It was during this journey that he found Luta Livre, otherwise known as No-Gi Brazilian Jiu- Jitsu. BJJ is both a martial art based on ground fighting and a close contact combat sport that teaches a smaller person how to defend themselves against a larger adversary by using leverage, and for the uninitiated, it can be extremely confusing. To the untrained eye, the movements and motions of BJJ – flailing, grabbing, sweeping, a mess of hooking limbs and bodies too close to be comfortable – can be hard to decipher. However, to the more patient observer, there is an underlying pattern, a language and logic of the body that hints at the famous combat efficiency BJJ is known for. In 2008, Erik began training under the BJJ legend Leopoldo Serao. In 2010, he won his first gold medal in the Grappler’s Quest. In 2011, he boarded a plane on a quest to bring Luta Livre to Vietnam. “When I came here in 2008, I completely fell in love with Vietnam. Saigon is a city I especially love and I’ve been to a lot of cities around the world. This city is very different and it’s very much my style to live in. I took to it. Ever since moving here I like it more. It grows on me. The more I learn the language, the more I understand the culture,” explaining why he chose Vietnam. His starting point was The Gym on the 5th floor of Parkson Flemington. It was at The Gym that he found his first few students. Eventually, he moved to the current location for better control of the environment as well as the direction of the dojo (a Japanese term for “place of the way”). His intention was never about making lots of money but rather, to spread Luta Livre into Vietnam. His dojo is suitably styled to his intended target, simple with no frills and carried on a strictly Vietnamese cost schedule. 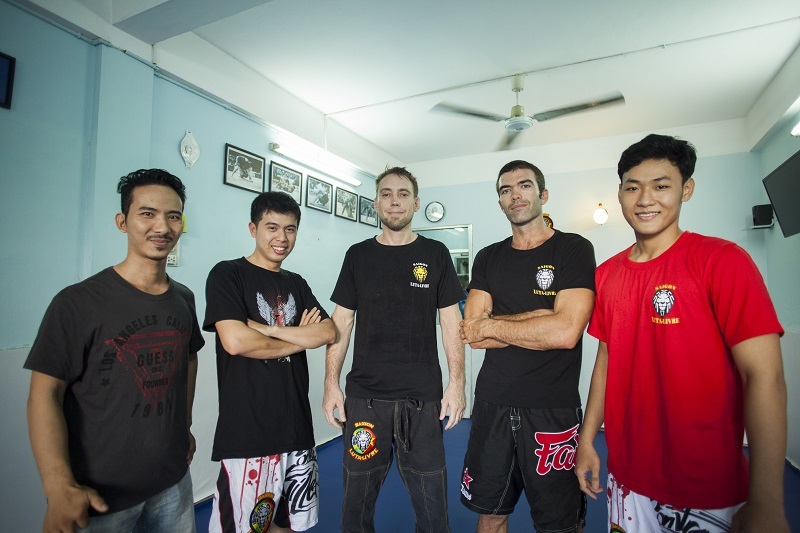 Saigon Luta Livre currently has 20 active members coming from all walks of life: students, workers, teachers, businessmen, Vietnamese and expats alike, and they are all bound by their love for Luta Livre as well as their shared goal to spread it to all of Vietnam not just as a sport or a martial art but as a way of life. BJJ is an art form, a philosophy and a way of life in itself, originating from Japanese Kodokan Judo and evolving on Brazilian soil and culture. Erik’s move from The Gym to his own studio, away from the commercial and business aspect of BJJ, is one that lets him stay faithful to BJJ as an art form, a philosophy and a way of life and allows him to share it exactly how he sees it to others. For more info, visit www.facebook.com/VietNamLutaLivre.